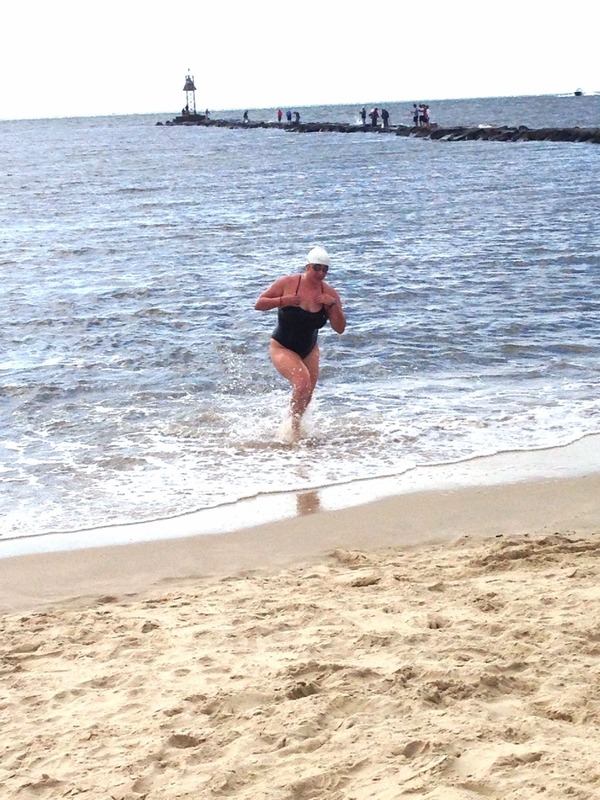 Charlotte Samuels joined 20 other marathon swimmers in the inaugural 15.1-mile (24.3 km) Cape Circumnavigation Challenge around Cape May, New Jersey. The conditions were pretty tough - as expected. Race director Jason Malick explains the term 'Swim Interrupted' in the official results, "Swim Interrupted means that the rips (5-6 foot waves) were too dangerous to navigate the boats and swimmers. We did not want to put any swimmers/kayakers into those conditions as they were getting rougher as the afternoon progressed. The rips are where the Delaware Bay and the Atlantic Ocean meet." 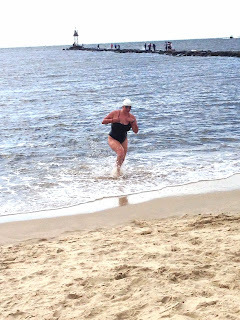 While I am very proud to have made it on to the pages of The Daily News of Open Water Swimming, I am also very proud to be from the Great State of New Jersey (not New York, as it is listed above). We sincerely apologize for the error which we also corrected in your Openwaterpedia entry. The errors are now corrected. I too am happy to have entered these hallowed halls and to have had the amazing experience of participating in the first C3 swim. Sadly, my last name is Didier and not Didler.